Tech giant Google has a secretive team building better batteries, according to a report in The Wall Street Journal. Analysts speculate that Apple is doing the same, based on the company’s job postings. Nearly every major automaker has an electric vehicle for sale and many – notably Toyota and General Motors – are investing millions in designing new batteries to power them. It’s a veritable moon race to see who can build the first affordable electric vehicle to drive 200 miles on a single charge. Many analysts believe hitting that mark would dramatically accelerate a global transition from fossil fuels to electricity as the energy of choice for the automotive world. Between 2007 and 2014, electric car battery costs dropped by more than half – from more than $1,000 per kilowatt-hour to around $410 per kWh. By 2025, the cost of batteries in electric vehicles will drop to as low as $172 per kWh, according to Lux. Tesla Motors is among those pushing the battery era the hardest. The California-based company has spent the past 12 years doing to electric vehicles what Apple did to early MP3 players – making them cool. It already has a battery-powered car that goes 200 miles on a single charge – the Model S – but its $70,000-plus price tag keeps it beyond the reach of most drivers. Most analysts expect the Powerwall, Tesla’s battery for homes, to appeal to only a small number of people, at least until the price and associated costs drop further. With a capacity of between only 7 and 10 kWh, and a price tag ranging from $3,000 to $3,500, the economics just don’t make sense for most consumers across the US. But the larger-sized Powerpacks are already proving attractive to businesses and utilities, which have more of a financial incentive to avoid the violent fluctuations in energy supply and demand. And when the gigafactory comes on line in 2017, Tesla hopes the economies of scale will drive prices down to a point where home batteries entice a lot of people. For Musk, “a lot of people” means just about everyone. 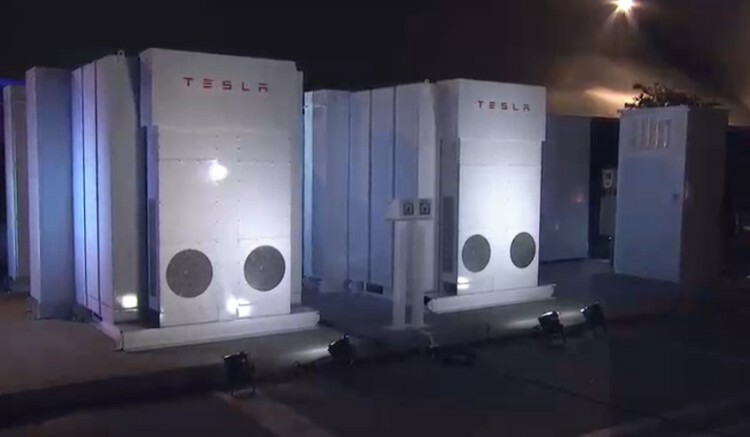 At April’s launch, Musk calculated it would take roughly 2 billion Powerpacks to electrify the entire world. That sounds like a lot, but, as Musk noted, it’s on par with the number of cars and trucks on the road. The cost of the battery is only ~10-20% higher than the bill of materials – suggesting a potential long-term competitive price for lithium-ion batteries could approach ~$100 per kWh. Tesla currently pays Panasonic $180/kW for their batteries, although conventional systems are still selling for $500-700/kWh. But Navigant says that the broader marketplace will reach the levels Tesla is paying in the next two to three years. We at Velocity Solar appreciate the work the Tesla is doing and are glad to see that battery technology is moving along very well, The reduction of battery costs over the last few years has been great, It shows that costs will only continue to reduce over the foreseeable years.